The Northern Guild of Toastmasters was formed on the 1st of April 1985 at the Imperial Hotel, Blackpool. The Guild has grown in stature since, and is now a highly respected organisation of members dedicated to the skills of their profession. 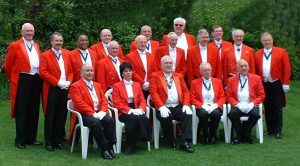 A rigorous application and vetting procedure means that full membership of the Guild is highly prized and The Guild constantly strives through seminars to improve and keep pace with the constant changes and requirements of the modern era whilst still maintaining traditions. When you engage a toastmaster who is a member of the Northern Guild of Toastmasters you can feel sure that your event is in safe hands.